It’s tempting to say that the forthcoming Western Daughter LP, Driftwood Songs, is a “bigger” record—the group have expanded their sonic palette considerably. Songs like opener “Skinny Water” and “Pillars of Salt” are buoyant indie rock anthems that highlight the band’s punk heritage. 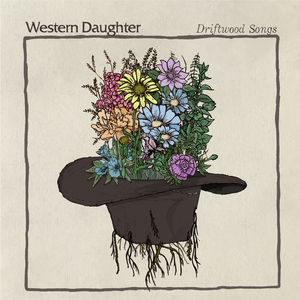 But Western Daughter have managed to make a more “commercial” record without forsaking the homespun charm and signature forlornness that made their early work so raw and alluring. This is best exemplified by tracks like the country-flecked “Busy, Busy, Busy” and slow-burning closer “Control,” which bridge this gap seamlessly. It’s territory that may not have been blazed by Western Daughter, but their unique perspective and commitment to honesty above everything else—a trait they share with both their country and emo forebears—make them invaluable occupants.